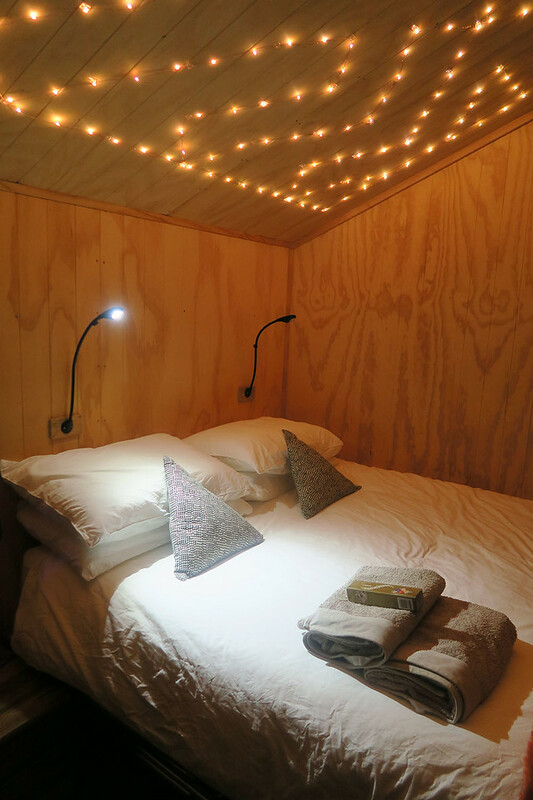 A first experience of staying in the Shacky tiny homes. One of the biggest perks of living in Melbourne (apart from the food, culture, coffee, etc) is its proximity to some wonderful destinations in the surrounding countryside. Any visitor to Victoria should make it their mission to spend at least a couple of days exploring the land that lies outside the city boundaries – particularly as you don’t have to travel far to immerse yourself in the sprawling countryside (advantage right here of living in one of Australia’s smallest states). Alongside the historic towns and regional cities, there are many quirky accommodation options popping up across the countryside, designed for city dwellers looking for some fresh air and a break from day to day life. Shacky is one such company that is looking to do just this. 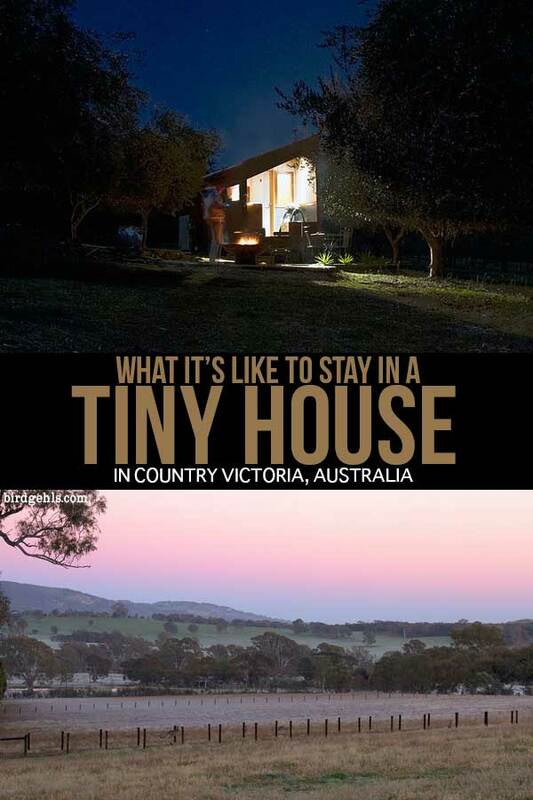 Having heard about it from a few sources, I thought it would make the perfect countryside escape for an Australian winter. What is a Shacky, precisely? It’s definitely not the image the mind may conjure up – i.e., a ramshackled tin shack, rotting in its foundations. That would hardly make for a pleasant weekend away. 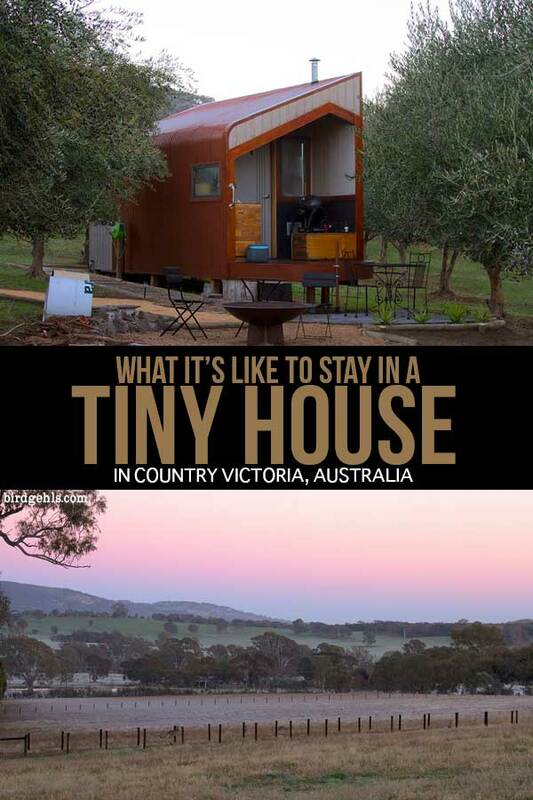 Rather, Shacky is working with farmers to place tiny homes on properties around the Victorian countryside. These houses are small, but cosy and fully functional – with a sustainable twist. Sustainability is my jam and Shacky promised the perfect getaway from Melbourne city and a chance to return to an area of Victoria that I really, truly love – the nearby King Valley. Some of the local residents. Who is best suited to staying at Shacky? Was it too cold in the winter? Where can I shack up in a Shacky? 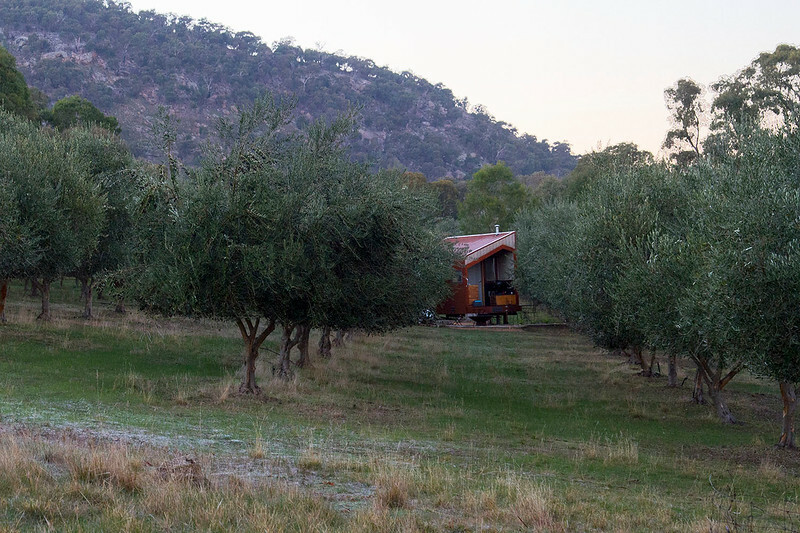 After a day spent exploring the King Valley, we arrived at The Olive Grove, ready for an evening of rest and relaxation. 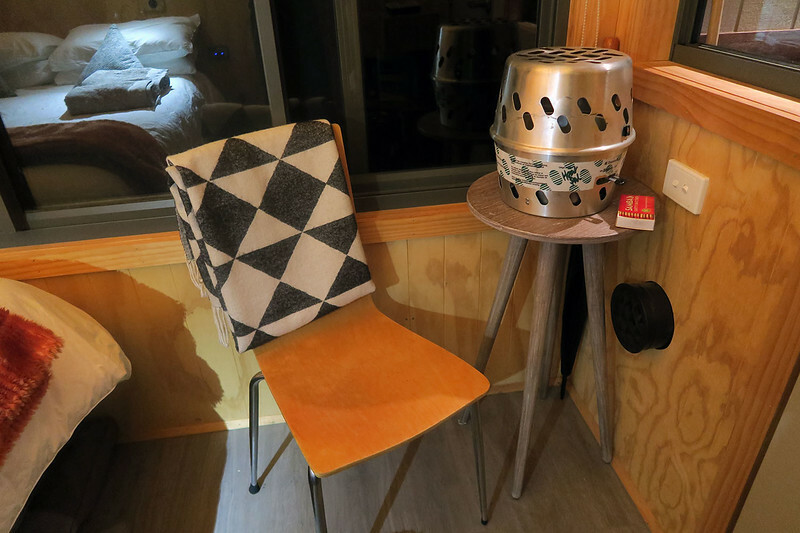 Our host showed us the inner workings of the tiny house – from how to start the outdoor bonfire (a skill I wish I were better at), to lighting the indoor heater that would keep us warm in the night. She then bid us adieu and left us to it. We immediately divided our tasks, with my boyfriend firing up the BBQ to get our dinner roasting, whilst I attended to the fire, which I managed to keep burning for several hours, NEW RECORD. 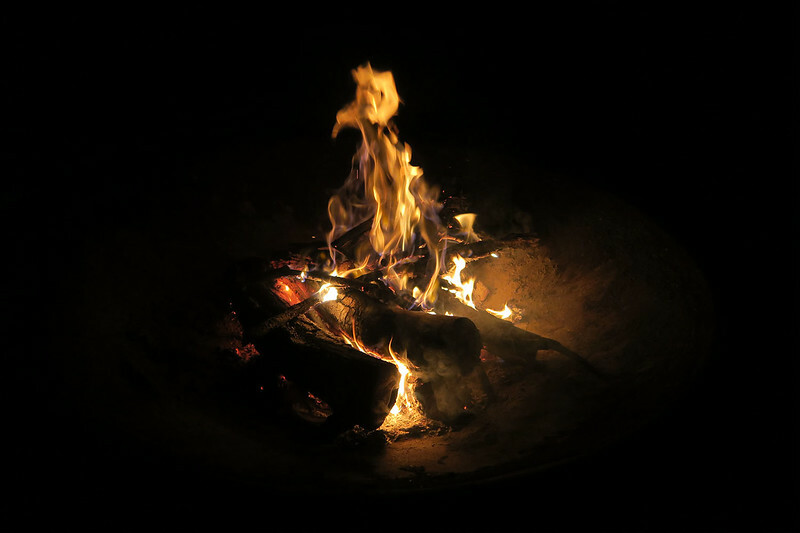 We ate our meal by the fire, before adjourning into the tiny house to chat, drink wine and beer and eat cheese under the fairy lights, before drifting off at around 10pm – the earliest I’ve got to sleep in around a month and a half. I slept fairly soundly, waking up to the dawn chorus at around 7am. I carefully climbed over my still-sleeping fella, pulling on my coat and beanie and grabbing my camera to try and snap some early morning pictures. It was then that I had my wildlife sightings – some wild kangaroos, who eyed me off before fleeing, clearing fences in one swift bound. Cockatoos, red wattlebirds and magpies alternatively shrieked and warbled their tunes from nearby trees. 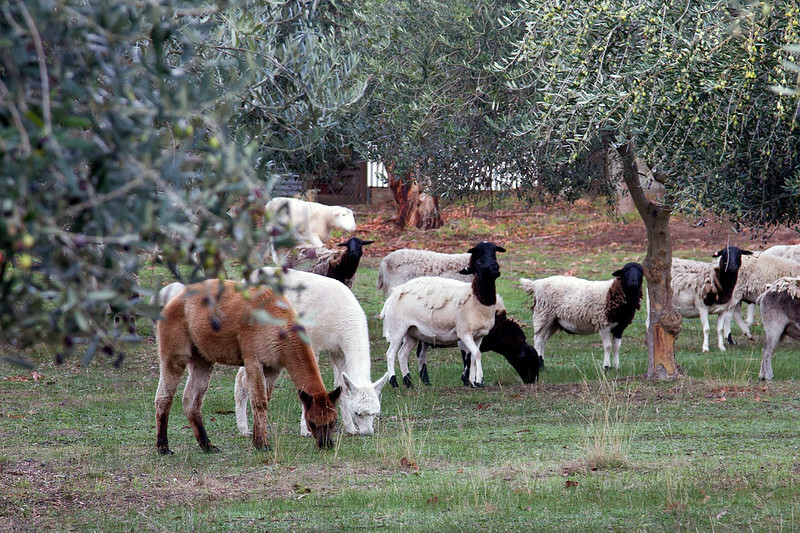 Most excitedly, the sheep and two alpacas who call this particular patch on the farm home made an appearance, walking amongst the olive trees and jumping up for a nibble here and there. Splendid. Inside Shacky – cosy, epitomised. Shacky is completely self-sufficient. 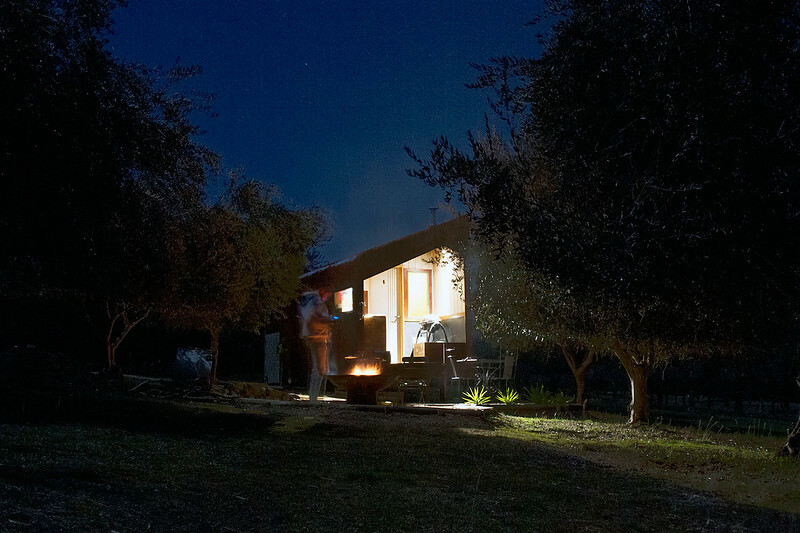 The lights run on solar power, the water is heated by a generator and heating is provided by a bonfire outside and a portable heater which runs on methylated spirits, indoors. The toilet is compostable – a type which I’ve only used once before when sleeping in a church in England. The compost provided eventually breaks down, forming a mulch which can then be used on gardens. The shower is located outdoors(!) at the back of the house. It was interesting to have to strip down to nothing in the early morning cold, but the shower pressure was excellent and the water very warm. I enjoyed listening to the call of the birds and watching the morning light break through the olive trees, whilst I lathered myself over with soap. As with most tiny houses, Shacky is moveable – if a family no longer wanted to play host, Shacky could be relocated to new surroundings. Shacky’s compostable toilet and shower are located right out back. I think of my flat in Melbourne as being tiny, but Shacky was a stark reminder on how little space we do indeed need to get by. I’m not entirely sure I’d like to “shack up” with my other half in a space that small, but I’ll admit I was having visions of having a tiny home of my own, with an adjacent sprawling garden. 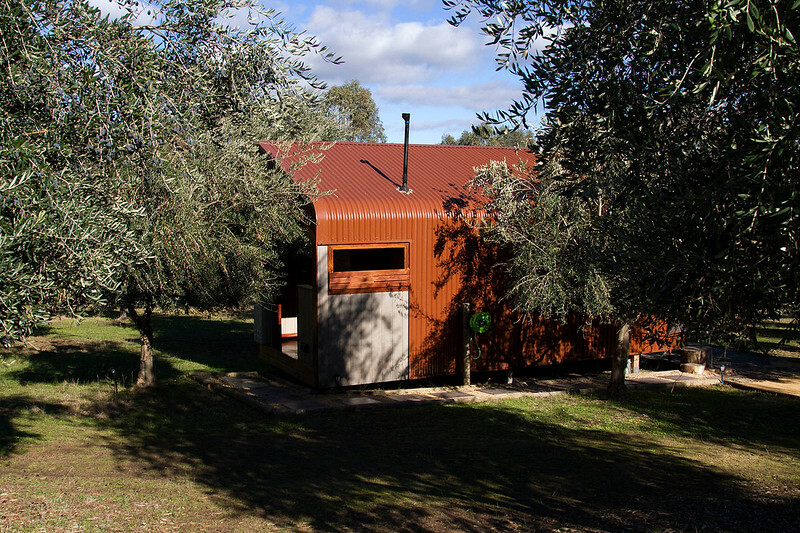 Stick it in Tasmania and it just might be my dream living situation. Sustainability aside, it was a lot of fun. It was lovely to get out of the city, travel to an area of the state that I really dig (and bring my fella there for the first time) and poke around a few new places. We were blessed with wonderful weather – a perfect, sunny day, with not a cloud in the sky. Unfortunately, the moon was out, meaning star-gazing was not as great as it could have been, but we still saw a heck load more than we can in the city. I left feeling completely relaxed and ready to tackle the week of work ahead – precisely what was promised on Shacky’s website! Early morning explorations, spotting an Australian icon. The Shacky is pretty well-equipped, so beyond a change of clothes and toiletries, there’s not much more you need to bring. If you’re looking to make your suitcase or overnight bag as eco-friendly as possible, I’ve got a few suggestions for you. If you get cold quite easily, I’d recommend bringing a jacket, gloves, beanie and a scarf. Once you’ve got the outside fire roaring, you’ll be as right as rain. Inside, the tiny house was kept quite cosy by the portable heater. We didn’t run it during the night however and there were a couple of points where I woke up feeling a bit chilly and wished I’d had another blanket. Cuddling up to the man-sized heater snoozing next to me in the bed helped solve this issue. The portable heater will keep things warm. You can pay extra to have dinner, breakfast, wine or snacks left in the tiny house to accommodate you during your stay. We’d already picked up wine, beer and cheese from our trip to the King Valley, so we decided not to take this option. We also stopped in a local Coles earlier in the day to stock up on sausages, steak, salad and bread, which we barbecued that evening. I’d brought a small esky along for the occasion, which I stored in the boot of the car. It’s up to you, really, but I have still have the mentality of a student several years on when it comes to these sorts of things and I like to save money where I can! Plus it gives me more cash to spend on books and socks. Gathering around the campfire and enjoying the clear night sky. Personally, I think it would be nicest for a couple’s escape. The home is small and you’ll be in each other’s space, which will be less pleasant if you’re not inclined to cuddle up to one another. Be aware that the home only accommodates two people and pets aren’t allowed. You’ll have to leave Fido and Mittens at home. Another thing worth mentioning is that you’re very unlikely to get mobile phone reception at Shacky – they are, after all situated in remote locations and the whole idea of the experience is to switch off from day to day life and relax! 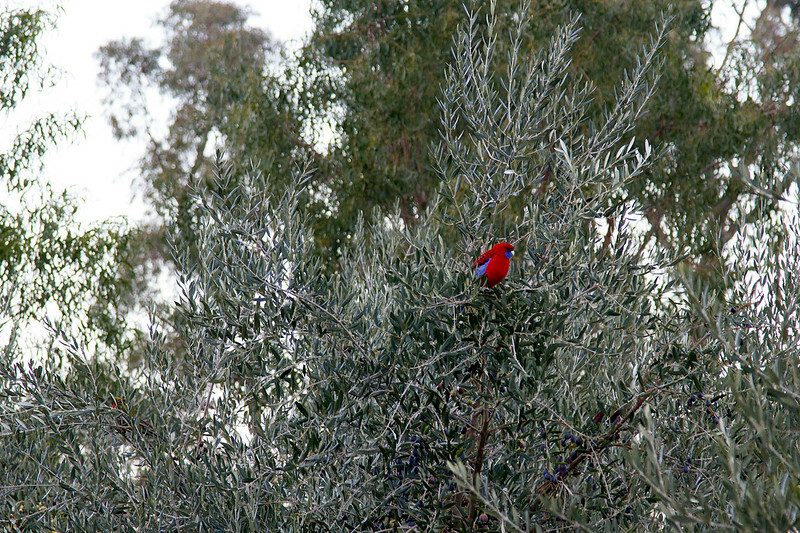 Crimson Rosellas were feasting upon the nearby olives. Staying anywhere like this in the dead of winter is always a bit of a risk, if you’re not a fan of the cold. Personally, I think it’s an experience that is made for the cooler months. Our host had said that they put in a little pool to replace the bonfire in the front of the Shacky during the summer, which they think of as a swim-up bar. Admittedly, this did sound like a fun experience, one that I’d be down for trying. 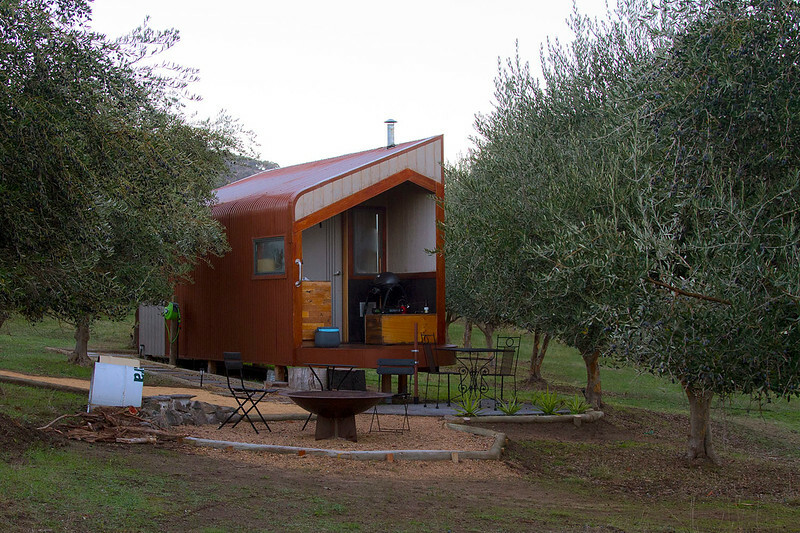 There are currently two locations on offer – Olive Grove, where we stayed and another nestled within the Yarra Valley. Shacky are looking to expand and will soon have other locations opening up in The Grampians, Gippsland and Moorabool. Chilling with Ned in Glenrowan. Here are a few things you can do before or after your Shacky stay. Explore the nearby town of Euroa. There are a lot of pretty, historic buildings to ogle at. Due to time constraints, we ended up driving through the town centre, after having lunch at Seven Creeks Hotel. I loved both the interior and exterior of the hotel, but service was a bit slow and I’d class the food as normal pub fare – nothing to write home about in a postcard to Mum. 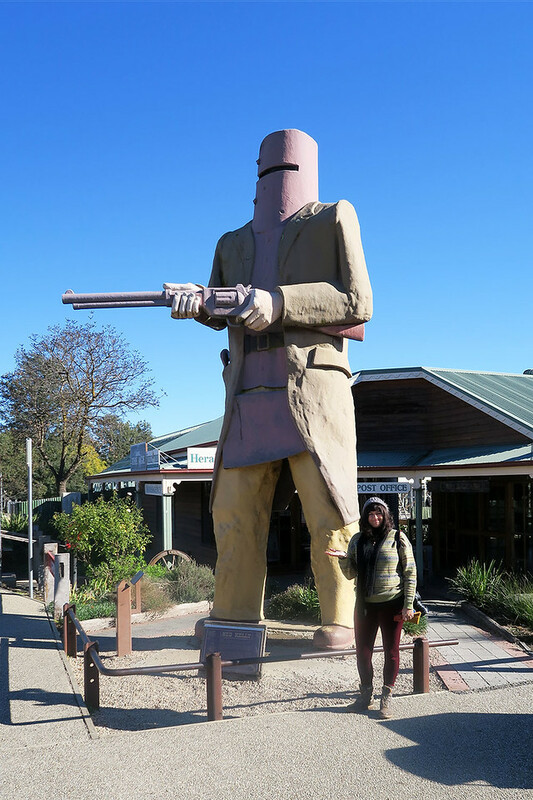 If you don’t mind going for a bit of a drive further north, it’s well worth making a stop in the town of Glenrowan. It’s best known for being the site of the final siege and capture of Australia’s most famous bushranger, Ned Kelly and his gang in 1880. There’s a giant statue of Ned out the front of the visitor’s centre and the rest of the town adheres strongly to the bushranger theme. I would highly recommend heading on to the King Valley – grab some cheese at Milawa Cheese Co and journey down the region’s Prosecco Road, stopping at vineyards along the way to sample some delicious Italian-inspired sparkling, made locally in Victoria! There are plenty of delightful places to grab a feed – I recommend Mountain View Hotel in Whitfield for some boutique, yet hearty fare or Patricia’s Table at Brown Brother’s vineyard, also equally pleasing on the taste buds. Sunset in the King Valley. If you fancy making a weekend of it, I’d recommend staying either in Milawa or Wangaratta. I’ve personally stayed in Milawa Motel for $140, which was really quite lovely and Gardenview Lodge in Wangaratta, which was very basic but affordable at $105. 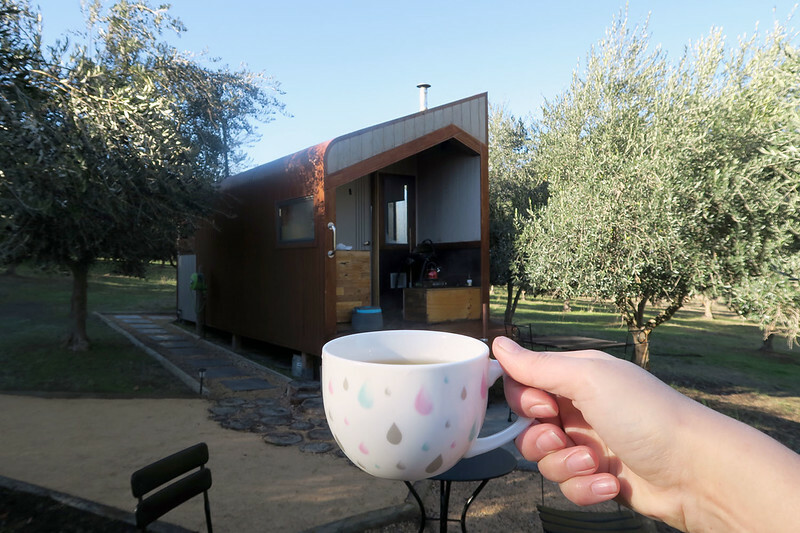 If neither is your cup of tea, you can search for other accommodation in Wangaratta or Milawa here. From the King Valley, you can access Victoria’s lesser hyped scenic drive – the Great Alpine Road. I am yet to do this, but it is certainly on my list. Hidden amongst the olive groves. If you’re looking for other places to stay in Melbourne, I’ve got you covered – suburb by suburb. The NOTEL in the city is particularly fun, if you’re looking for some quirky accommodation (in an airstream trailer, with a hot tub). 10 Alternative Places to Visit in New South Wales. And if you’re keen on exploring more of Victoria, check out my posts on Daylesford, Ballarat and Healesville in the Yarra Valley. And have you checked out the Silo Art Trail? Pin me baby, one more time. 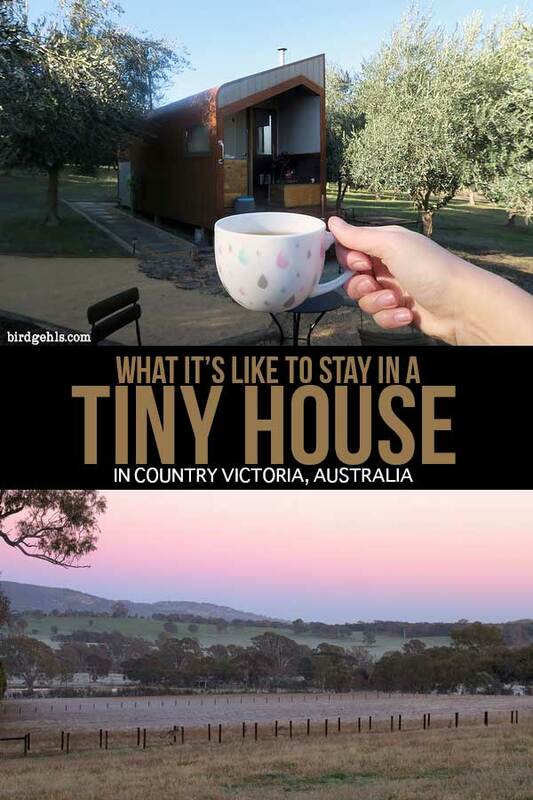 Would you stay in a tiny house in the Victorian countryside? Let me know in the comments and please share this to inspire more winter travel fun times. You can follow Birdgehls on Twitter, Facebook and Pinterest for more travel inspiration for Australia and elsewhere. Please note: This much needed weekend break was self-funded. All prices are in AUD. This is such an awesome idea! I love the idea of camping in areas like this but hate the idea of setting up a tent, and not having a hot shower or powerpoints. This sounds like the answer to a lot of my problems, love that it’s sustainable as well. 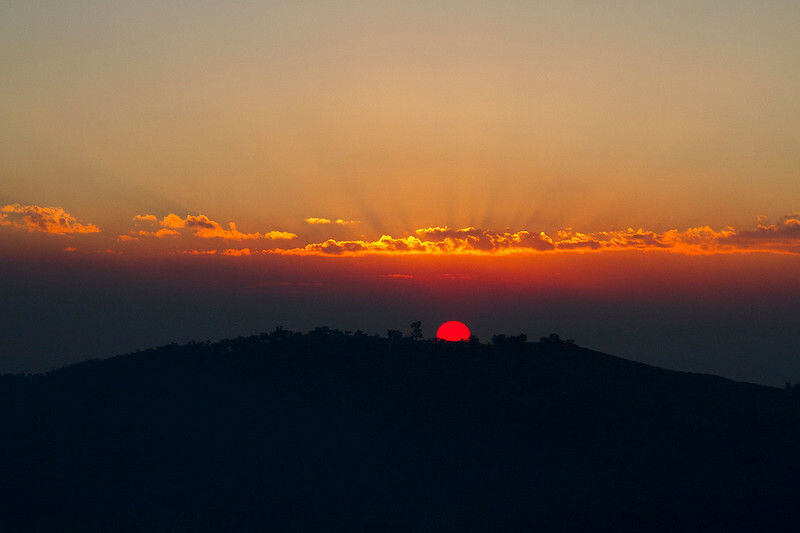 And that sunset in the King Valley – wow!! It’s great, isn’t it? I’m the same – I like the idea of camping and do enjoy it for short periods of time, but I enjoy having all my creature comforts nearby and particularly like to keep warm! I want a compostable toilet in my own house now, haha. And yeah, that was a ripper of a sunset. We were unfortunately driving and missed it this time ’round, which was a shame as we would have had a clear view from the Shacky! I would absolutely love to stay in this house. It feels so cozy and connected to nature! I would be a great holiday for me! It was so nice to switch off and enjoy the sounds of the birds! This looks so adorable. I love staying in tiny homes. 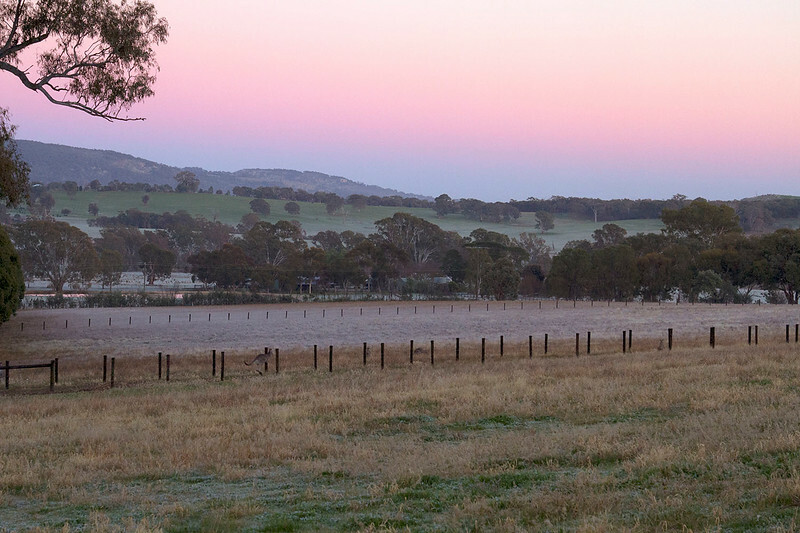 The King Valley is one of Victoria’s most amazing areas to visit. I agree, thanks for putting me onto it! oh this post grabbed my attention immediately. Glamping? 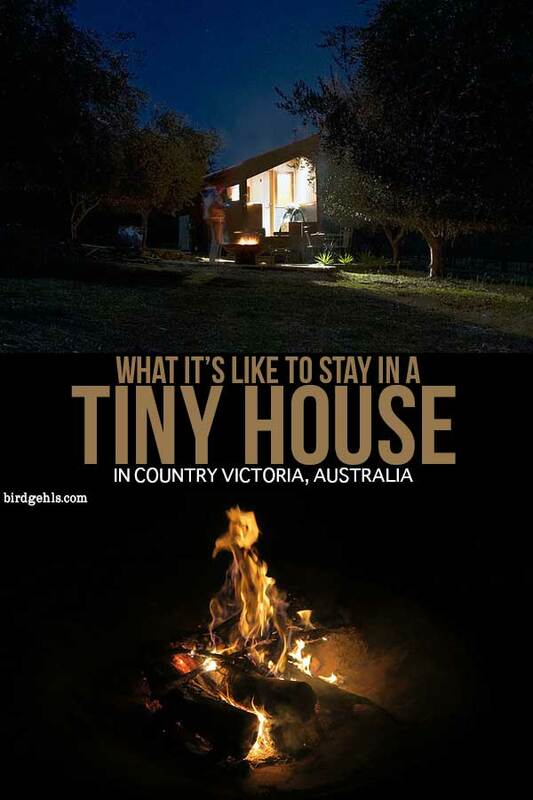 Tiny House? Australia? Literally all things I’m interested in doing, especially after this post. They are all super fun things! It’s such a never-ending list, too!